…Author, Tim Taylor’s REVOLUTION DAY is on special offer for Christmas… snap it up! Hi Seumas, many thanks for inviting me onto your blog today. Corazon walked languidly towards the bar, catching the attention of the barman as she did so. Many other eyes followed her progress, and the slight swaying of her hips that emphasised each step. Her skirt was a little shorter, her lipstick a little redder than usual this evening, and her face bore an expression not of weariness but of expectation. “Tell Ramon I am ready to leave,” she told the barman, but he shook his head. “Ramon has left us. We have not had time to find a replacement, I’m afraid. I will drive you myself this evening.” He gestured to one of the other bar staff to take charge in his absence. On the journey home the barman talked constantly, but Corazon, unusually for her, said very little in response. Instead, she seemed preoccupied with her mobile phone, constantly tapping with her long fingernails upon its plastic screen, sometimes holding it to her ear before cursing silently in frustration. So preoccupied, indeed, that she almost forgot to give the barman his tip, remembering only at the last minute when he pointedly asked, “Will there be anything else, lady?” Apologising, she gave him both the roll of notes she had prepared for him and the one that had been reserved for Ramon. The following afternoon, when she returned to her locker at the exclusive downtown gym that she visited twice a week, she found inside it an envelope that had not been there before. At first puzzled, then worried, and progressively overwhelmed by a tide of panic, she took it with her to a changing cubicle and tore open the seal. The first thing she saw was a photograph of herself in the toilet of the nightclub, snorting a line of coke. And for good measure, a second photo, a second line. Then there was a picture of her meeting Ramon at the bar, another of the two of them walking down the steps towards the car park, holding hands, yet another of him opening the door of the shiny Mercedes for her. Then, at last, came the money shots. Her kissing Ramon passionately, his back arched against the body of the car. The two of them in transitional pose, her blouse unbuttoned and breasts exposed. Then finally, Ramon from behind, his white buttocks framed between black trousers and black jacket. Either side of him, two stockinged legs, two arms, braced against the car door, and just visible to his left, a waterfall of straight blonde hair. This indiscretion will have no repercussions, provided that you comply with a simple request…. 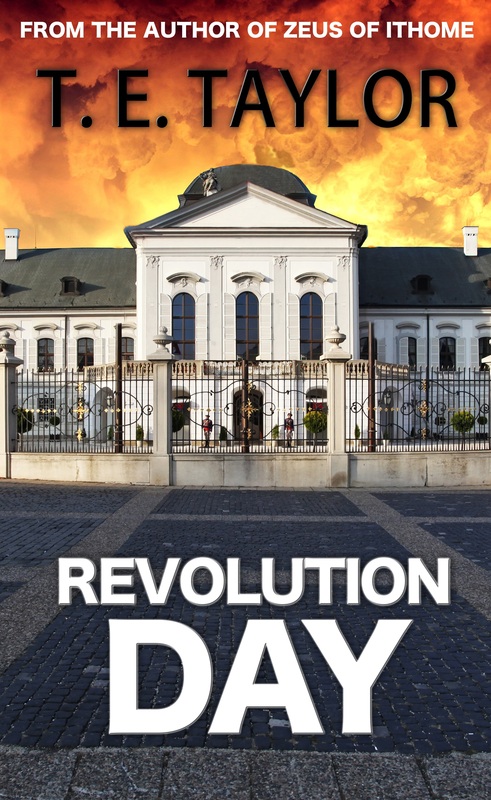 More information and excerpts can be found on the Revolution Day page on my website: http://www.tetaylor.co.uk/#!revday/cwpf. Thanks again for your hospitality, Seumas! 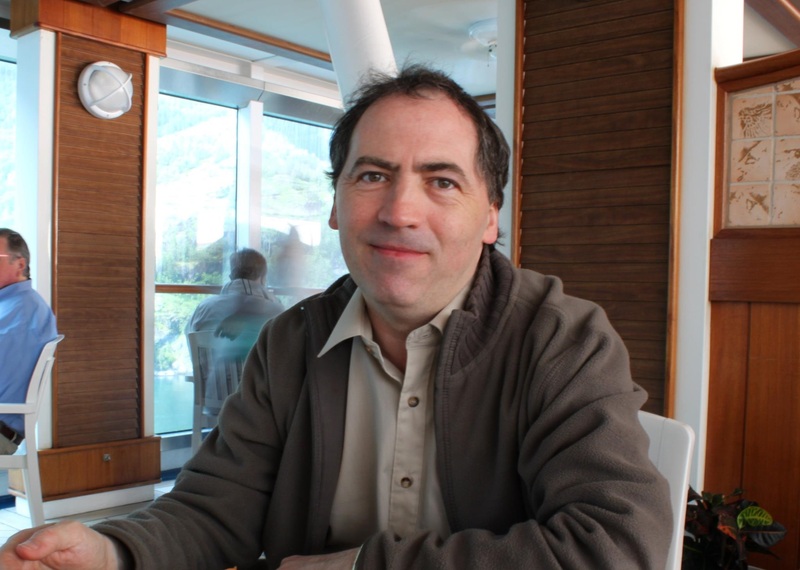 Tim’s first novel, Zeus of Ithome, a historical novel about the struggle of the ancient Messenians to free themselves from Sparta, was published by Crooked Cat in November 2013; his second, Revolution Day in June 2015. Tim also writes poetry and the occasional short story, plays guitar, and likes to walk up hills. I truly enjoyed this novel and wrote a well deserved review for it. Seumas is on the money. Tim’s novel is well written, tense and so very riveting. I highly recommend it.